In Plesk Onyx, which we offer for our VPS and dedicated servers, you can comfortably manage your WordPress sites with the extension "WordPress Toolkit". The software enables you to set up a new WordPress site by only a few clicks, it can find already existing WordPress installations on its own and it will show them all in a list. There you can do administrative tasks like updating, installing plugins and much more on all installed WordPress instances at once. Therefore, the extension is very interesting for resellers but also for end users. 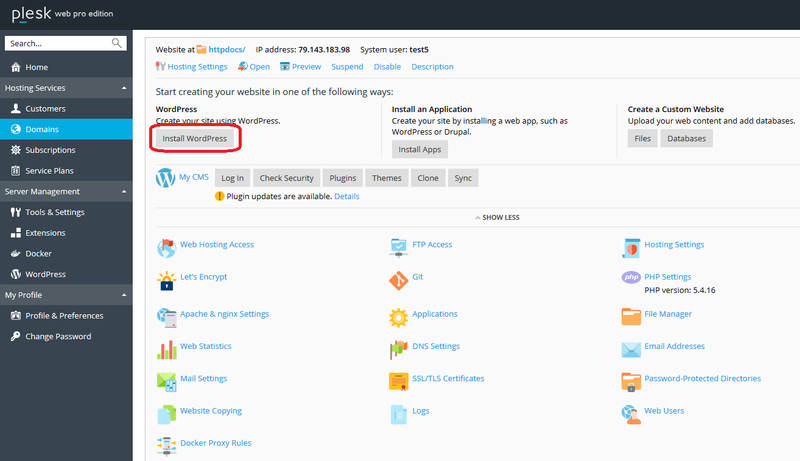 The WordPress Toolkit is available for all three Plesk Onyx versions at no additional charges, but the range of functions in the Web Admin Edition got reduced in some points. 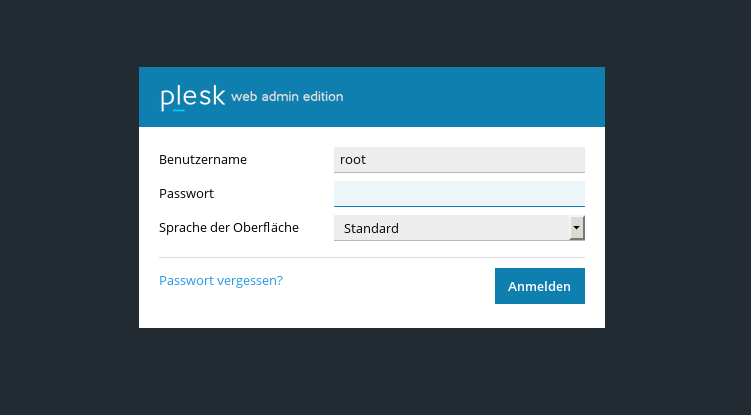 For more information about the differences between the full version and the special Web Admin edition, please take a look on this site: https://www.plesk.com/extensions/wordpress-toolkit. 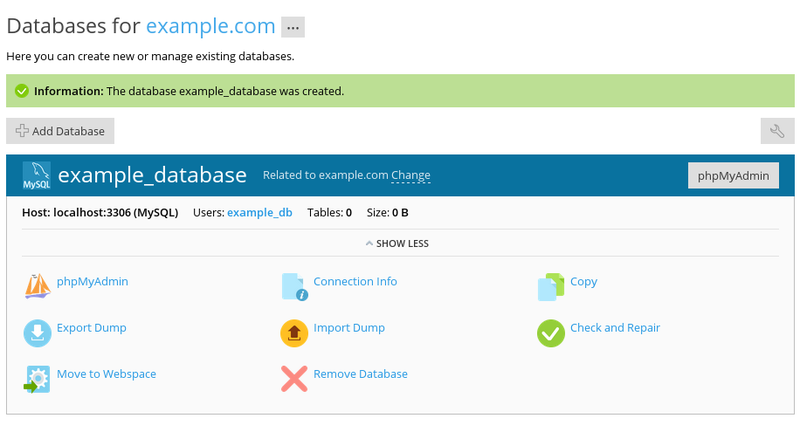 You can easily check if the extension has already been installed in your Plesk by changing to the following oversight: Server Management > Tools & Settings > Updates and Upgrades > Add/Remove components > Plesk extensions. You should see a green tick next to the extension "WordPress Toolkit". If there is still a red X shown, please use the "Install" function in the drop-down menu. With continue, you will proceed with the installation. 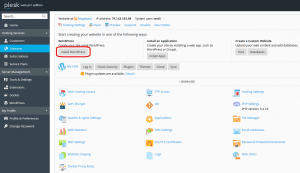 You will find the extension afterwards below the menu item "Server Management" in the main menu of Plesk. It is called "Wordpress" there. In case you can not find those menus, you can also use the Plesk search bar. Maybe you are not using the Service Provider view then. Here you can see a screenshot of the available options. You can increase the size of every image in this tutorial by clicking on it. You can use those options selectively or on all WordPress instances at once. We will now explain those options from the left to the right. There you can search for existing WordPress installations. They will be added to the list below automatically. There you can check your WordPress instances for elementary security problems. You will get a list with points that got checked and possible automatic improvements you can confirm. You will get a collection of the installed plugins and also an update check for those plugins will be performed. You can install and remove plugins for your sites there as well. There you can manage your themes and exchange them for multiple WordPress sites at once. You can update your WordPress installations to the newest version here. Plugins are not touched. Here you can check if there are WordPress updates for your sites. There you can decide if your WordPress sites should get automatic updates in future. Additionally to those features, you have the functions Clone and Sync available in every line with an existing WordPress installation. With Clone you can save a lot of time, if you want to use a fully configured WordPress site as Template. You can also easily change the URL of a WordPress installation this way by deleting the original site afterwards. 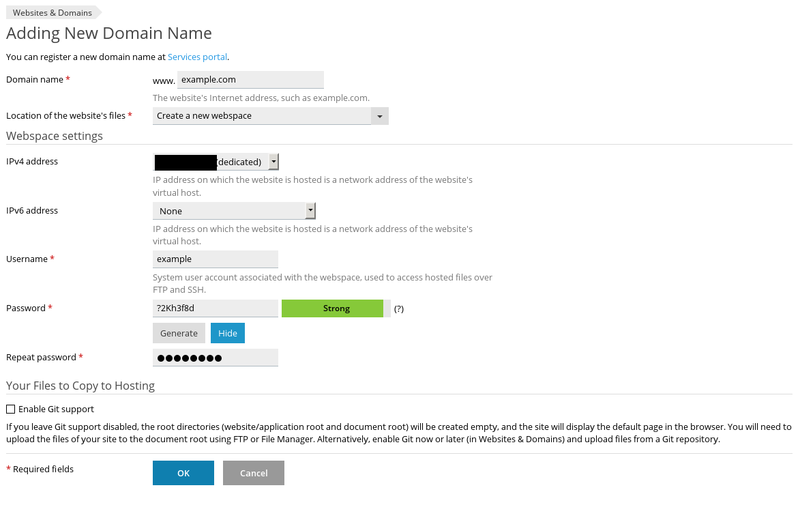 After clicking on this function, you can do the few required settings and create the target subdomain or select one of the existing domains. 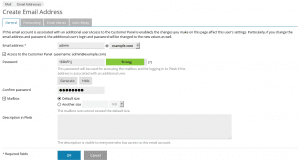 With Sync, you can copy changes to other WordPress installations. This is useful, if you want to test for example new plug-ins on a subdomain before you use them in your public blog. You have the choice between the files, the database or both. Simply order one of our VPS in combination with Plesk and you will get the edition of your choice one month for free! Plesk is a commercial web hosting platform developed by Parallels. It is available for Linux and Windows based operating systems and therefore for any operating systems offered by us. Together with our partner Plesk, we are currently offering you Plesk Onyx one month for free. Simply select one of the below listed editions of Plesk Onyx and try it, before you buy and pay for it! Only available in combination with our VPS: Plesk Onyx now one month for free. Web Admin Edition: This edition is targeted at users who only want to administrate their own websites. Unnecessary features such as customer/reseller management are not included in this edition. 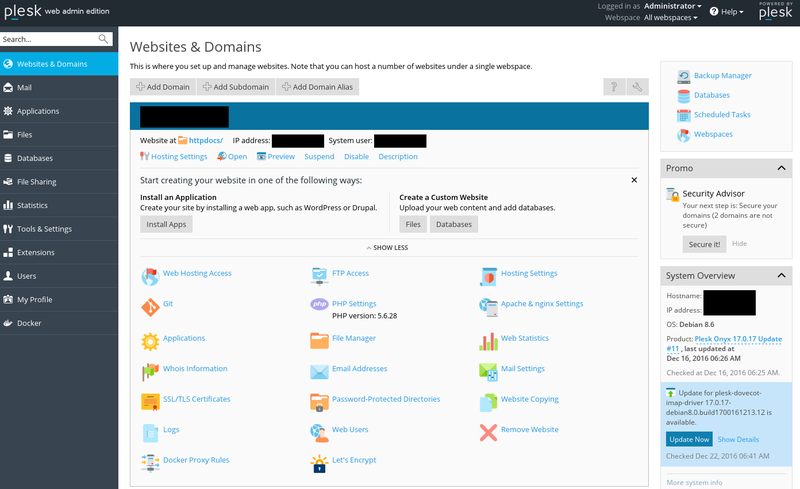 Web Pro Edition: With this edition, you can host up to 30 different domains. Also, all features apart from the reseller management are available in this edition. 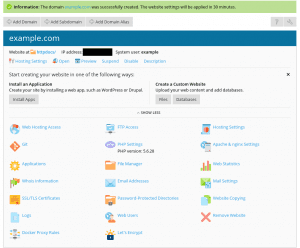 Web Host Edition: With this edition, you can host an unlimited amount of domains. There are no restrictions on behalf of Plesk. The Web Host Edition is the most extensive of all Plesk editions. It includes every feature - from reseller management over security core features until automatic outbound spam protection. This tutorial, however, is restricted to the basics you need to know. We will show you how to add domains, FTP accounts, databases and e-mail accounts. 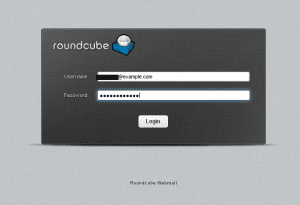 At first, we log in at our Plesk webinterface. In order to do so, we use the browser and type in our IP address and port 8443 (e.g. https://198.51.100.3:8443). 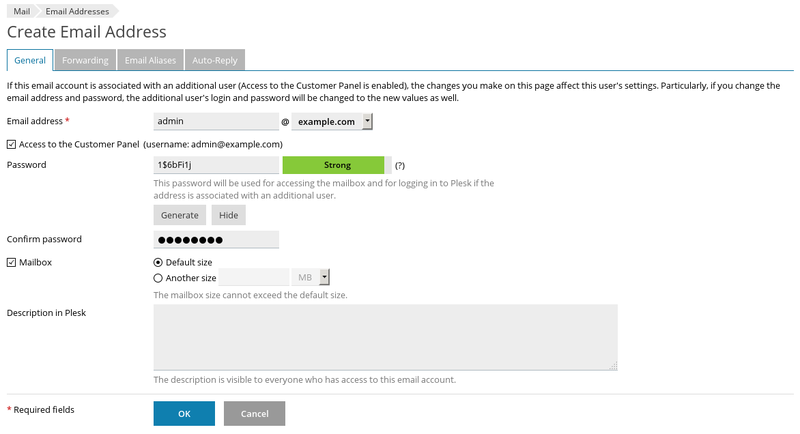 ... and land directly on the main page of the Plesk webinterface. In our case there is already a domain added, in your webinterface the main page might look a little different. We fill in all the text boxes. In the box "Domain name", we fill in our domain (without "www"). Our example domain is "example.com". As location for our new website we choose "Create a new webspace". When choosing IPv4/IPv6 addresses, we choose the IP addresses which we want to use for our newly created domain. Choosing the username and the password are, of course, completely up to you. The first step is already done now. After clicking on "OK", the new domain is added on our server. Now we can upload the data for our homepage to the server. Usually, this is done via FTP. Luckily, Plesk already created an FTP account for us when creating the new domain. So all we have to do is opening an FTP client of our choice (e.g. 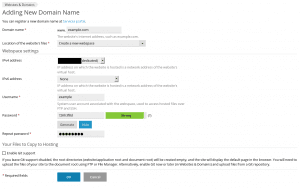 FileZilla) and connect with the login credentials we just set for our new domain. Again, we fill in all text boxes. In order to connect to that database, we have to create a new database user. Please note down its username and password, you will need it for your website later! When asked about access control, we choose "Allow local connections only". Here, we could also import a dump of an already existing database. However, this tutorial is limited to the basics only. After we filled in all the text boxes we click on "OK" in order to create the new mail account. Please remember to note down the access data, you will need them later! 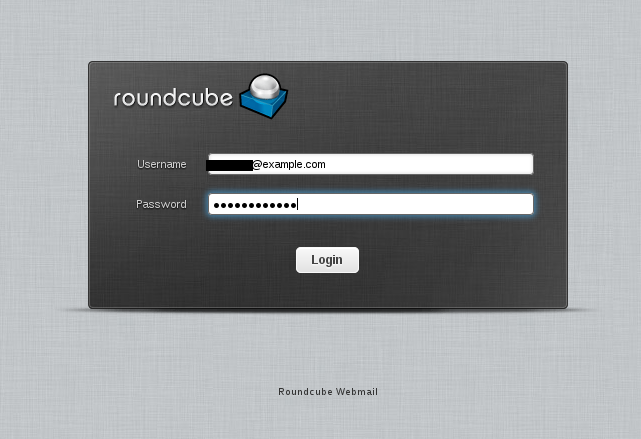 Once the mail account is created, we can login on our mail webinterface on "webmail.example.com" for sending and receiving e-mails. If you are ready to try Plesk Onyx now, we would like to mention our current campaign with Plesk Onyx one more time. Get Plesk Onyx one month for free, in combination with one of our VPS. Select the model of your choice in our VPS overview and opt for your preferred Plesk Onyx edition during the configuration process. 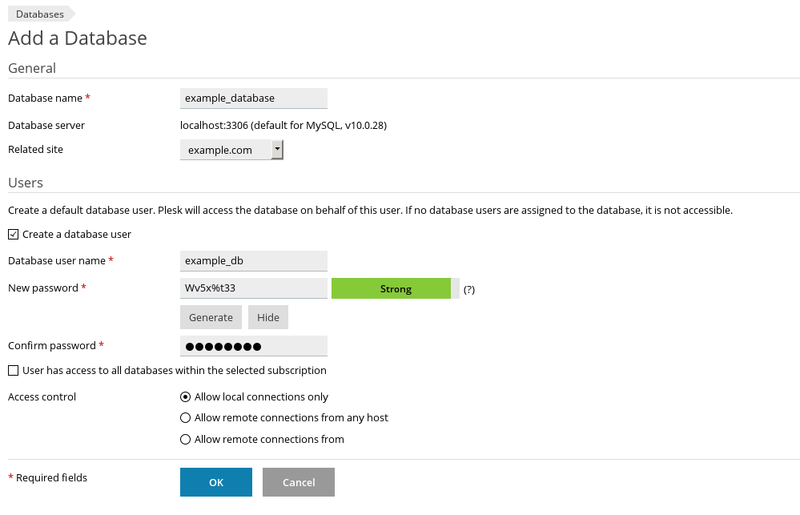 With this short tutorial we will show you how to upgrade your Plesk 12.5 version to Plesk Onyx. 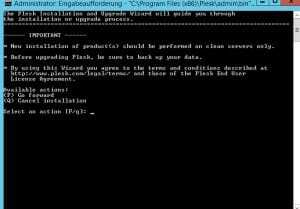 Before proceeding you should perform a backup of all important data. An upgrade always bears the risk of data loss. On an SSD VPS you will have the ability to create a snapshot, creating a snapshot will give you the possibility to perform easily a rollback to the state "before upgrading". On any other VPS or dedicated server we recommend downloading all backup files to your local PC or to our FTP backupspace. 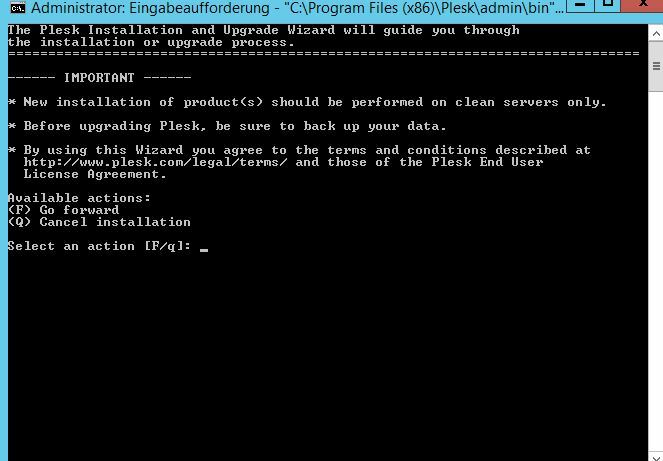 Once you have opened the Plesk Installer you will probably see a warning telling you to backup all your important files. 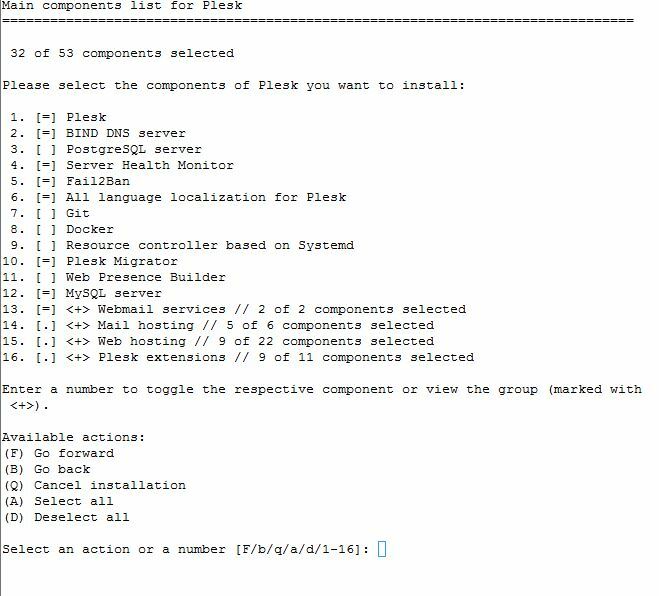 After you have agreed you should see something like the image below, there should be displayed your current version of Plesk; if you want to perform the upgrade you will have to select the right version by typing the correct number, in this case number 2. After typing in the number of your desired Plesk installation you will accept the download of those new packages. 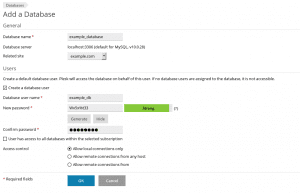 Please note that this step can take up to 30 minutes, it really depends on the Plesk extensions you have installed. After the upgrade was completed you should verify that everything is working properly. 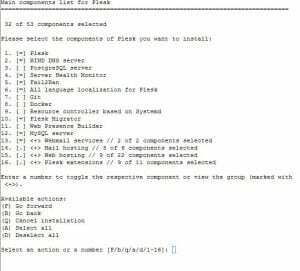 If you plan to install additional software or change some software you can of course run the Plesk Installer again and select the packages which should be installed. We kindly ask for your understanding that analyzing problems can be very difficult for us, in case you encounter issues after having added or removed some software through the Plesk Installer. In any case we recommend backing up all your files before making any changes to your Plesk installation. By the way: Plesk offers tutorials about the upgrade process as well, just click here to access the Plesk University! There is also the option to start a clean reinstallation of your server with the latest version of Plesk within your customer control panel, in this case creating a backup of your important data prior to the installation is vital, because all data stored on your server will be lost.